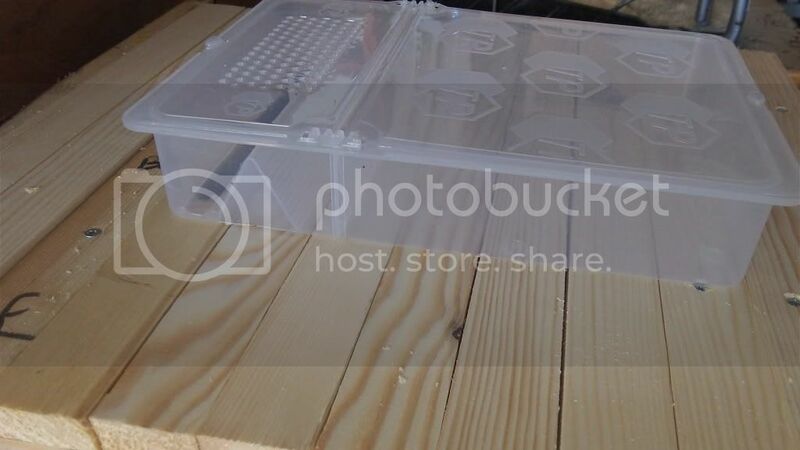 I have 8 x 10 top bars nucleus Top bar hives. Some of them have 8 combs and 2 have 10 combs. The nuc has 10 top bars space + follower board with a top bar on it. Those with 8 combs I feed via inverted jar behind the last comb and they are taking the syrup in. Problem is I have to refil every day which means opening the hive body. I tried to feed some nucs with 8 combs by placing the jar on top of the top bars and then placing a super on top. The bees can pass under the follower board and up into the super but they didn't show interest in taking the syrup. They do have a few empty combs still. But when I place the jar behind the follower or behind the last comb they take it in. My question is more concerning the nucs with 10 combs. There is no space left behind the follower and they to refuse to go up in the super to get the syrup. I don't want to feed outside the hive since robbing will be triggered and wasps are being active. I use a top-bar with a slot that matches the opening in a commercially available feeder. A shorter, wider slot in a top-bar (in place of the follower, could be used to (almost) match a jar feeder. Mesh on top of the bar would mean bees stay in the hive during feed top-up. Or you could make an external inverted jar feeder with a short hose connector and fit it to one of your entrance holes. I don't think it would be difficult to cobble something from scrap timber or perhaps recycled materials. Just a shallow box with a hole in the top the exact size of the feeder jar and a one in the side that a short length of pipe/hose fits snugly into. This might just have prompted me to make one as it would be a useful small bit of gear to have lying around in a hive roof space for when required. Like you I am currently opening up each day and refilling the jar, which is no problem as I have a full size hive, unless the weather is very bad. Trekmate that would be great if my top bars were all the same thickness but they are not. Barbara I read on many places that entrance feeders are very likely to trigger robbing. I'm trying to avoid that. My long TBHs have no issues since there is plenty of space behind the follower board to place the jar. If you are worried about it causing robbing at the entrance, then make a hole at the back of the hive and insert the pipe connector and jar feeder at the rear. The hole can easily be plugged with a cork or similar when you are finished feeding.